In Western societies, leisure has been a major force in changing people's lives. The containment of working time and the rise in spending power have been long-term trends and are likely to continue over the next decades. While growth of leisure may not have eradicated differences by social class, gender or age, it has transformed how these differences are expressed, challenged or modified. In parallel, leisure studies has itself developed significantly as an academic discipline. This second edition is a complete rewrite of the first edition published in 1999. 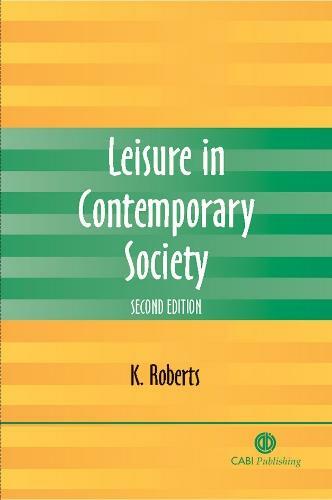 It is an introductory undergraduate text on leisure. It has a sociological perspective and discusses recent debates and research on topics such as post-modernity, consumer cultures and lifestyles.